The Indiana Pacers really didn’t want Roy Hibbert on the team anymore, and will be sending the center to the Los Angeles Lakers via trade for a future second round pick. The year? They don’t really care. As George Ordonez tweeted, the Pacers really don’t care what year the pick is in or how high it is. They just wanted Hibbert and his $15.5 million (last year on his deal after opting in) away from them. The Lakers, who couldn’t land anyone they wanted in free agency, needed a big man after not keeping Jordan Hill and his $9 million team option. 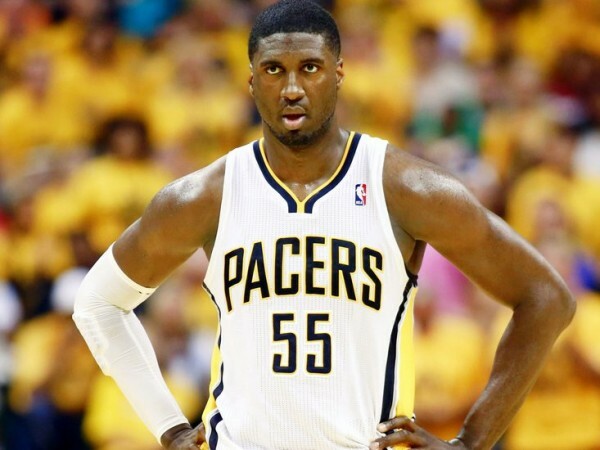 Hibbert comes to the Lakers with everything to prove, for himself and to the team, which should be great for them. It’s not just about the one year removed from the huge surge in the salary cap. It’s a contract year for him, which will be about rebuilding the faith in his ability to be a pivotal part of a team’s success on both ends of the floor, following a horrendous 2014 NBA Playoffs and a 2015 season in which the Pacers realized they’re better off without him in today’s NBA. It gives the Lakers, for the first time in a while, a big man with mostly defensive tendencies and although it can come at a cost of having someone who does nothing offensively (which Hibbert has devolved into recently), they didn’t have much of a choice, and the Lakers aren’t going anywhere this season so paying Hibbert that money doesn’t really prevent them from improving in the future. Hibbert averaged 10.6 points and 7.1 rebounds per game, but for the first time since his rookie season the Pacers were actually better when he wasn’t on the floor, and his minutes dropped to 25.3 a night, his lowest since the 2009-2010 season, his second in the league. After the season was over, both Frank Vogel and Larry Bird made it quite clear the Pacers are changing direction offensively, and that Hibbert, who doesn’t fit, will either be benched or traded. The kind of public announcement of how little the franchise holds him in regard helped David West make his decision and leave the team. Hibbert, a two-time All-Star (2012, 2014) finds himself on a team that’s in something of a rebuild-transition phase, and is far from a finished product regarding their team building for next season, which will now consist of patching up the huge holes they have, hoping they actually make some progress this year.